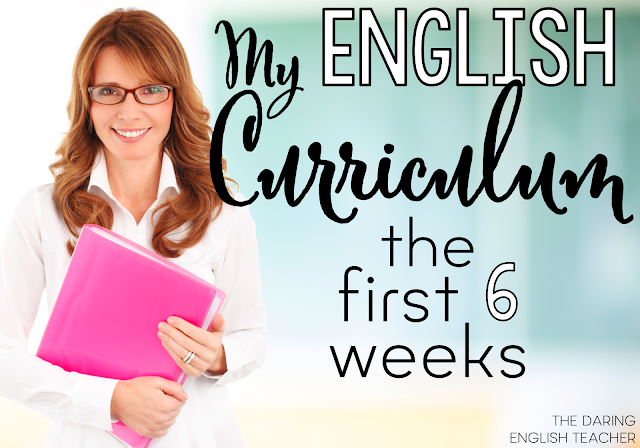 When teaching fiction in the middle school ELA or high school English classroom, whether it be a short story or a novel, it is so important to focus on more than just comprehension. While it is important to ask students about what they read, we must also ask them to analyze what they read. When I first teach literature to my students, I use direct instruction strategies. 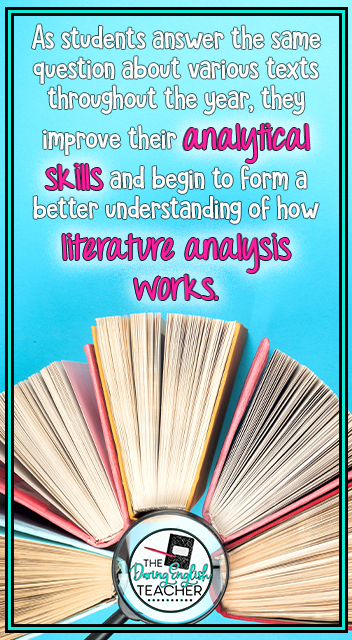 I provide my students with literary analysis terms and examples. Then we begin short stories and excerpts together. Usually, we will analyze a couple of short stories together as a class before moving onto more substantial pieces, like novels. When I’m teaching a piece of fiction, I like to have set questions I can use throughout the year to ask my students. 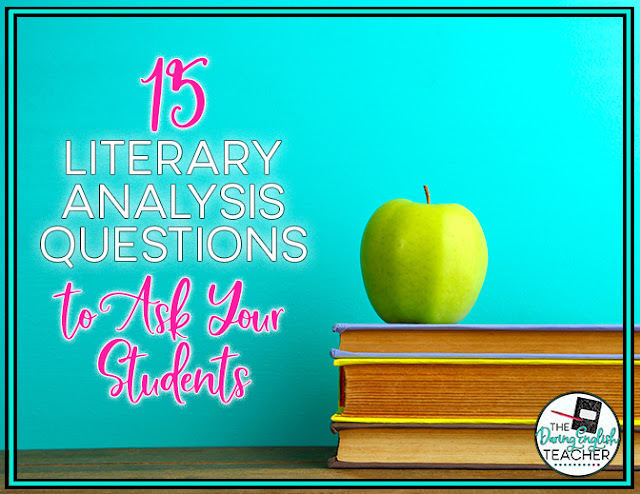 As students answer the same question about various texts throughout the year, they improve their analytical skills and begin to form a better understanding of how literature analysis works. If you are teaching response to analysis and literary analysis, here are ten questions you should ask your students about the piece they are reading. These questions are some of the questions included in my Response to Literature Task Cards that work with any piece of fiction. How do the characters in the story develop or enhance the theme? How does the conflict of the story develop or enhance the theme? How do the symbols within the story develop or enhance the theme? How does the author’s tone of the story develop or enhance the theme? How does the setting affect the plot? How does the setting affect the conflict? What is one of the protagonist’s flaws or weaknesses? What is one of the antagonist’s flaws or weaknesses? What motivates the protagonist to act? What motivates the antagonist to act?